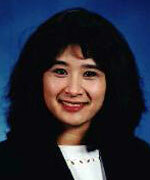 Dr Ricardo-Dukelow received her medical degree from Ross University School of Medicine. She completed here residency in Internal Medicine at John A Burns School of Medicine. Following her residency, she sub-specialized in Infectious Disease at Creighton University Medical Center in Omaha, Nebraska and became an assistant professor at that school. She is currently an Assistant Professor at the University of Hawaii and is an infectious disease specialist licensed in Hawaii and practicing at the Waikiki Family Practice Physicians. She joined our team of travel medicine consultants in 2012.